In early September, as memories of the debt ceiling fight faded with the summer, House Majority Leader Eric Cantor acknowledged that the economic policy debate was about to change: “The focus now is jobs,” he told reporters. 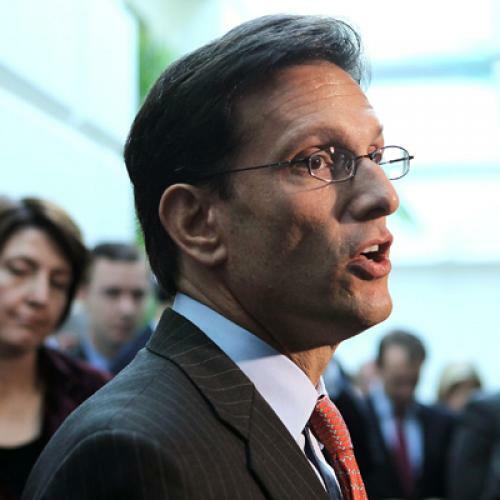 “The past eight months we’ve been all about cuts.” But it’s become clear that for Cantor and the rest of the Republican leadership, the focus is still on cuts. Among those cuts are cuts to job training programs – including programs that at least some experts believe might help the unemployed get a foothold back in the workforce. Consider what House Republicans are proposing to spend on edcuation for fiscal year 2012: The latest blueprint, released earlier this month, would reduce funding Department of Labor by 20 percent, although they would fund some individual programs at or above current levels. And even the funding Republicans do provide may be weaker than it seems. According to several budget experts I interviewed, esoteric changes in the budgeting process for those programs—in effect, capping funding in advance—could lead to even bigger cuts than advertised. The Republicans boast that these cuts would save taxpayer dollars—and, in the very short term, they probably would. But what kind of effects will they have in the long term, not just on the budget but the economy a as a whole? Many of the programs that Republicans would potentially open up to cuts, such as the Employment Training Administration, have been proven to connect dislocated workers and disadvantaged youth to the labor force and build skills for better jobs. As Neil Ridley, a senior policy analyst at the Center for Law and Social Policy (CLASP), explained, these are vital programs that “provide value and have a return, especially for low-income adults.” Indeed, a number of studies over the past decade indicate that participants in such programs enjoyed higher rates of employment and wages than non-participants did. Republicans and their allies aren’t necessarily ignoring these arguments. The more thoughtful among them simply don’t agree with them. In particular, they are skeptical about such benefits and have requested that the Government Accountability Office (GAO) audit these job training programs to assess their effectiveness. “We have little or no confidence that these [job training] expenditures have made a difference,” says Rick Hess, the resident scholar and director of education policy studies at the American Enterprise Institute (AEI). Hess told me that the only “result is extensive federal involvement with the state and municipal level of job training, which involves a lot of red tape,” and “may create more hindrances than they provide in support.” Republicans want the GAO to pay particular attention to whether these programs are helping participants overcome the supposed “skills mismatch” that they believe exists between the skills required by available jobs and the skills workers actually have. Of course, that would seem to be an argument for better spending, as opposed to less spending. But while Republicans are ostensibly trying to blend the two approaches, in practice the emphasis is on the cutting. And it’s harder to find a reasonable defense for some other proposed reductions – chief among them, reductions that would affect Pell grants. Since Republicans don’t want to reduce how much money individual students get from the program each year, they’re proposing to reduce how many students can get the grants in the first place. They would do this, primarily, by counting Social Security benefits and the Earned Income Tax Credit (EITC) as “income.” That would force families to contribute more money towards tuition, effectively pushing many students out of the program. Among the other proposed changes are retroactively reducing the lifetime limit on Pell grants from nine to six years, eliminating eligibility for part-time students, and halving the “auto-zero” expected family contribution. Vicky Choitz, a senior policy analyst at CLASP, told me that, if enacted, these changes would cause roughly 550,000 students to lose access to Pell grants next year, and one million would by 2017. The Republican rationale for these cuts is that they target students least likely to graduate. “If we want to look at the statistical profile of non-completers,” Hess told me, “we know that students who take more than six years to complete and are not full-time are wildly less likely to finish.” In practice, though, this means that the proposed changes would amount to “a penalty for working students” – who, given the constraints of working life, are almost inevitably going to struggle more to complete their studies. Choitz estimates that a working dependent student would receive a cut approximately three times as large as that of a non-working student.